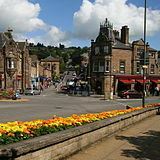 Situated at the edge of the Peak District on the River Derwent wander the pretty Victorian streets with neat stone houses or head down river to Matlock Bath with its many attractions including a cable railway to Heights of Abraham and the Masson Cavern. The Northern terminus of the Peak Rail heritage line. Complete with steam engine restoration shed and a 60 ft working turntable, the station is situated within a 28 acre site and is the main base of Peak Rail. 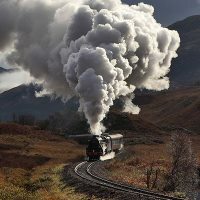 Fares for this tour start from £119 in Premium Standard, £169.00 in First Class, £219.00 in Premier Dining and £279.00 in Pullman Style Dining. You have the option to join a road coach at Matlock for a scenic journey through the Peak District before making a short stop at Bakewell. There will be time to sample the famous pudding, and explore the biggest town in the Peak District National Park, with its mellow stone buildings, medieval five-arched stone bridge and quaint courtyards.